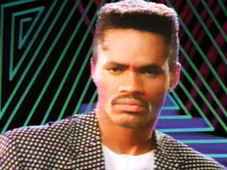 Colonel Abrams (born May 25, 1949, Detroit, Michigan, USA - died November 24, 2016) was an American house music singer, songwriter, and producer. Abrams was raised in New York City. He was one of the first artists who brought house music to the mainstream. This is such sad news. A true pioneer of house music, from his early raw tracks to Trapped and latterly with Omar S. The Colonel will be missed. By some accounts he was homeless last year, and had ongoing health problems sad times. R.I.P.